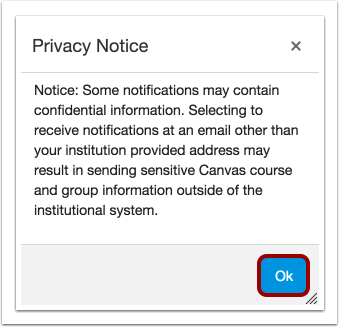 If you have enabled push notifications in the Canvas Teacher app, you can manage your preferences in the Push Notification column. Please be aware that push notifications can only be sent to your mobile device right away or not at all. Daily and weekly notification options are not supported. Previous Topic:How do I merge my user account with an account using the same email address as an instructor? 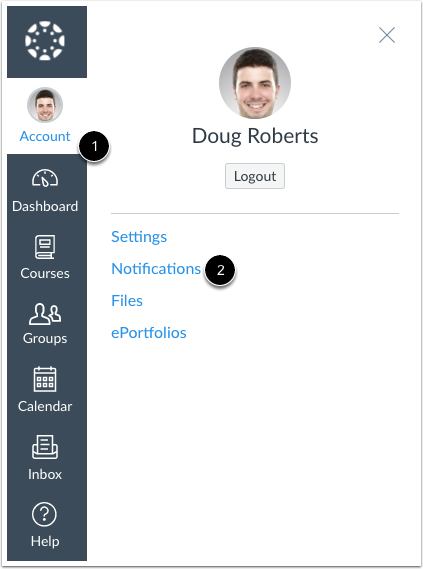 Next Topic:How do I add an additional email address as a contact method in Canvas as an instructor? 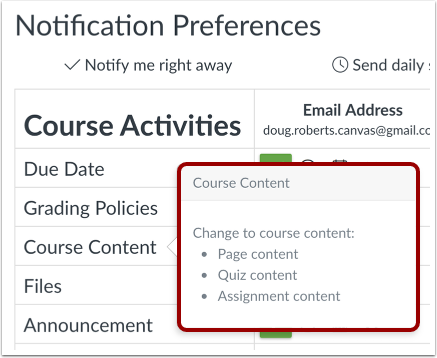 Table of Contents > Profile and User Settings > How do I set my Canvas notification preferences as an instructor? Re: How to mute submission notifications from a course I grade as a student grader? Re: How can I send my students an SMS to their cell-phones instead of an email? Re: Is there a way to set notifications just to notify about a response to a post I make?